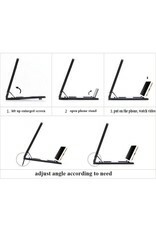 You will love this magnifying glass for your smartphone! 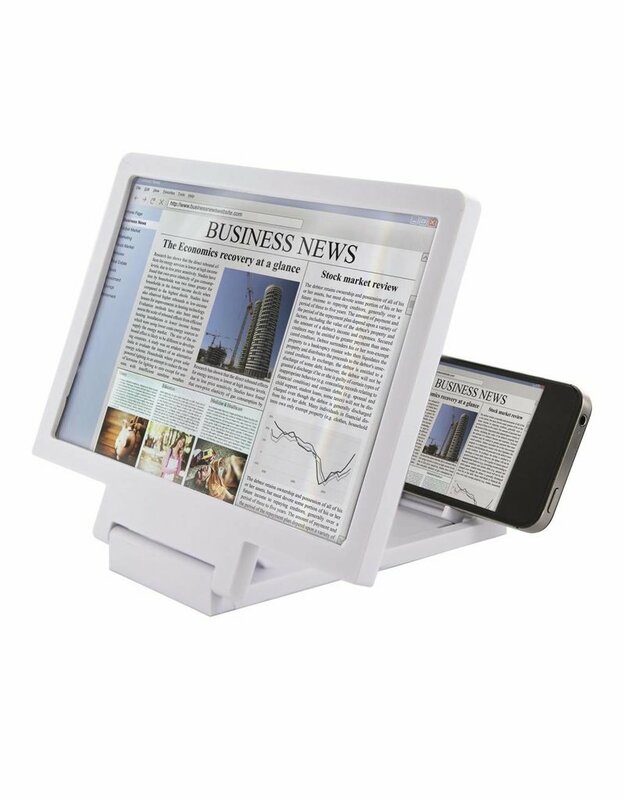 Practical and ingenious, it is specially designed to enable you to enlarge the screen of your mobile phone. Finished the fine print that can not be read or the videos / photos too small. 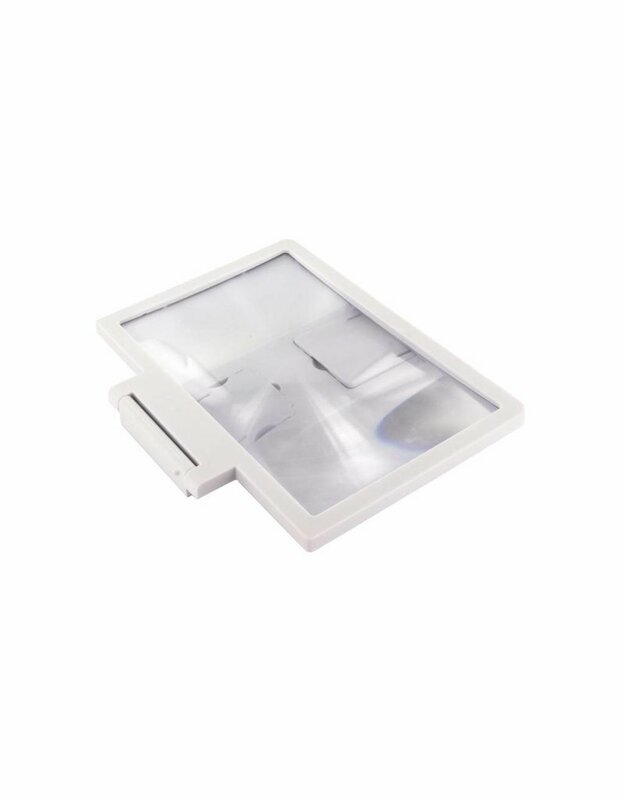 With this magnifying glass the size of all your contents is increased considerably, for a comfortable use, without tiring your eyesight. You can check your newspaper online or even watch a movie with magnification x3 that you offer this magnifying glass. Compact and lightweight, it will follow you during all your trips and will quickly become an essential accessory. 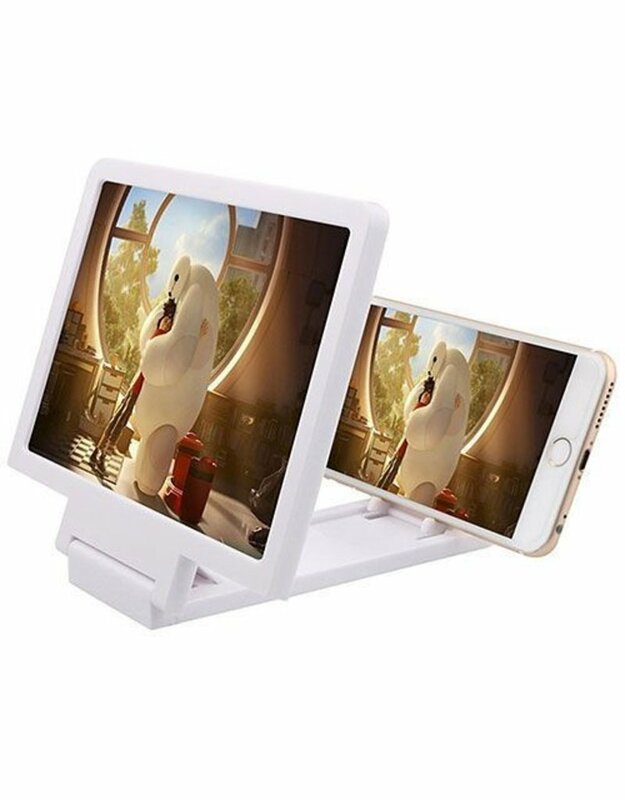 Compatible with all types of smartphones. Dimensions: 20 x 15 x 15 cm. • Folded size: 18.5x15x1.5cm / 7.28x5.91x0.59inch. 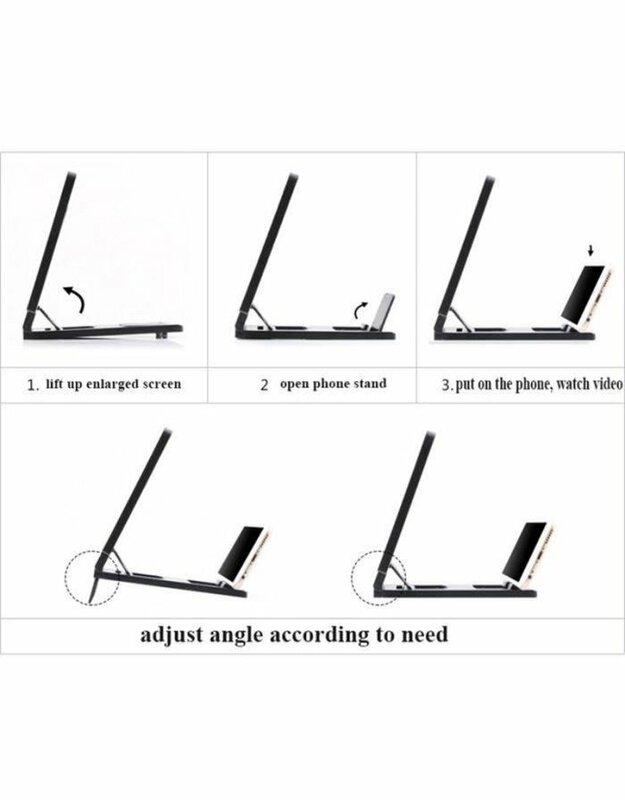 • Screen extension of the mobile phone. 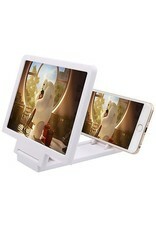 • Support for mobile phone support for 3D movie video.